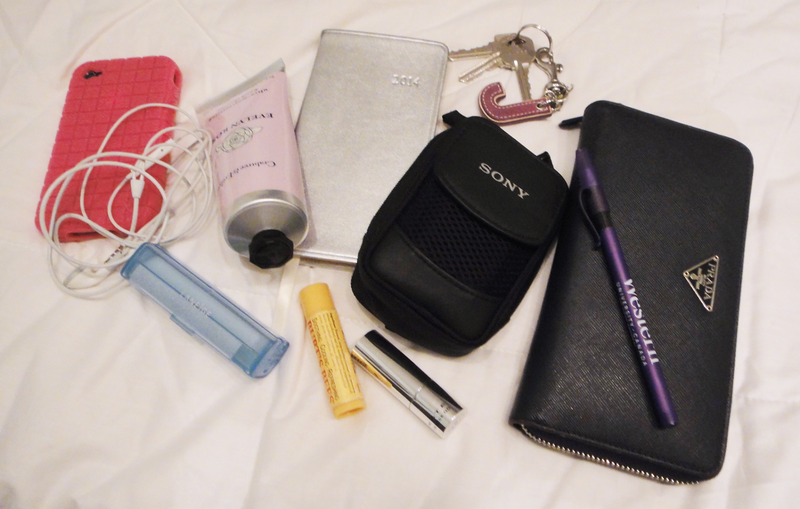 Yours Truly, Janice: Whats in my bag? Anywho, after posting an OOTD with my Valentino Rockstud purse, I decided that I should do a quick whats in my bag. So here it is, this is what I carry around with me every day! 2. Headphones - I'm one of the lucky one's whose iPhone headphones still haven't broken yet! 3. Crabtree & Evelyn Evelyn Rose Handcream - Smells amazing! 4. Agenda - This one is from J. Crew. The silver is amazing since I can find it easily in my bags. 8. Western pen - because I go to Western University! I hope you all have an amazing Friday tomorrow and thanks for reading!